Southern Illinois Farm Beginnings® (SIFB) serves people of southern Illinois and surrounding states (Missouri, Kentucky). Since 2011, Food Works has administered the program from its base in Carbondale, Illinois. One of the youngest Farm Beginnings® programs, two dozen people have graduated from Southern Illinois Farm Beginnings and a half dozen farming enterprises are underway. The program begins in October with a series of seminars focusing on business plan development and marketing for sustainable, entrepreneurial farming. The following spring, students are matched with a farmer mentor to further develop their plan and achieve personal learning goals. On-farm field days and one year’s membership in the Southern Illinois Farmer Alliance add real-world dimensions to the program. 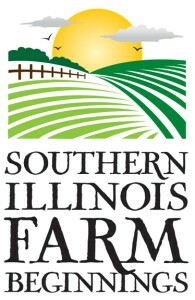 Southern Illinois Farm Beginnings is administered by Food Works. Visit their Southern Illinois Farm Beginnings page for details and the application or contact the program manager at Food Works.